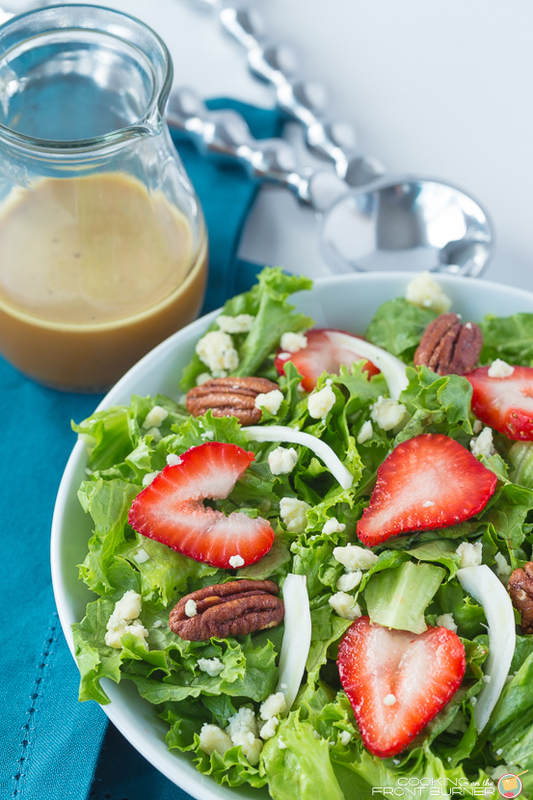 The combination in this Strawberry Fennel Salad with Orange Vinaigrette is so tasty! 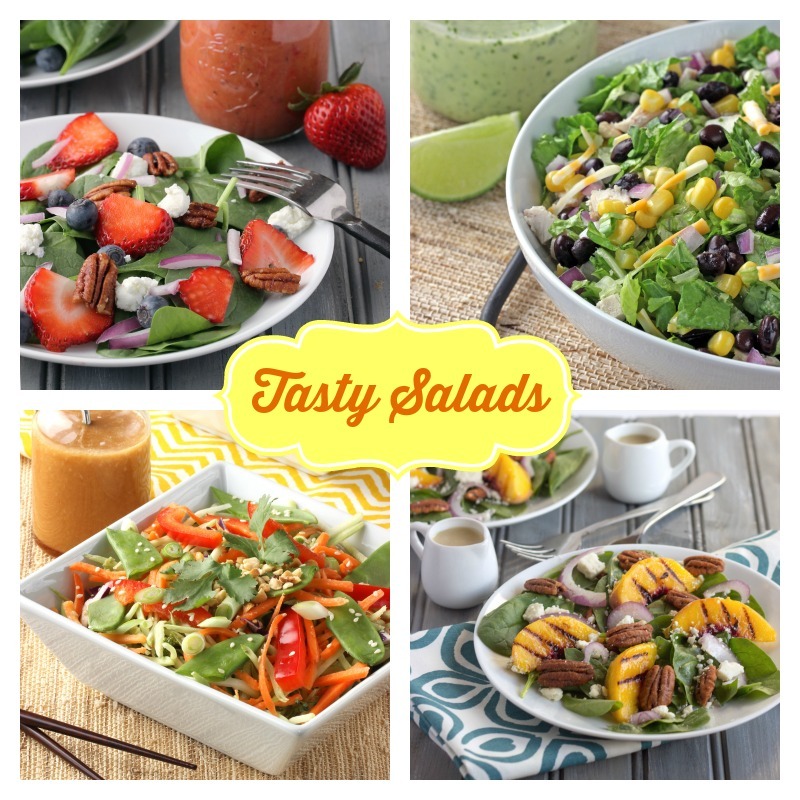 How does a tasty salad sound to go with this spring weather? I’m guessing pretty good. I’m so craving some lighter and healthier foods. 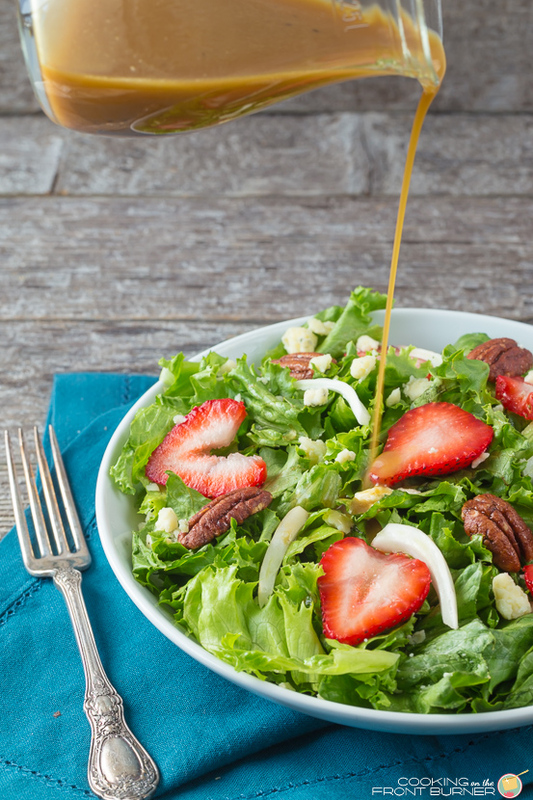 This salad has it all, fresh greens, strawberries, gorgonzola cheese, pecans and even a bit of fennel all drizzled with a freshly made orange vinaigrette. It is so good and your taste buds will thank you! I’m kind of wishing I did a bit better with eating this winter but you know, the body wants what the body wants and that usually involves heavier carbs. Now that it is April, I’m planning some lighter dinners and lunches. There’s still plenty of time to get back on track – better eating and hitting the gym. What’s on your agenda this spring? Do you like getting back in the yard, planting, biking, walking? It’s definitely one of my favorite times of the year when everything is anew again. I even like the rain, well not a lot, but enough to wash away winter’s icky stuff. I think you will really like this dressing too. 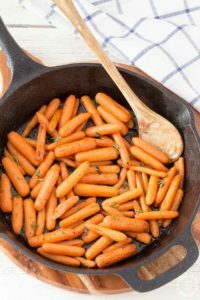 It’s so fresh and would work well on any salad or make a tasty marinade for chicken and grilling. 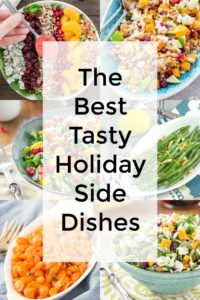 Still looking for more salads? I’ve got a few more up my sleeve! 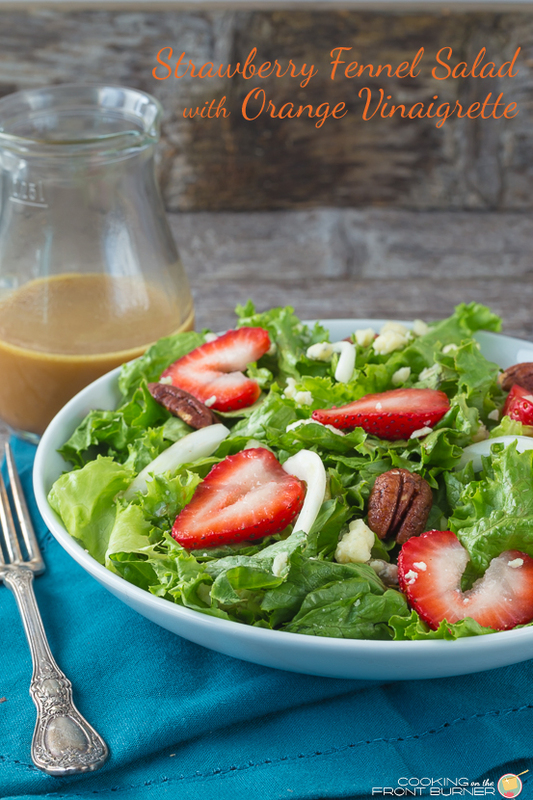 Mmmm…love strawberries in my salad, and of course the cheese helps. The dressing seals the deal! What a beautiful spring salad! And the vinaigrette sounds delicious! Oh wow, that sounds lovely! Mmm this looks really delicious. Im going to have to give this recipe a try! Yes! 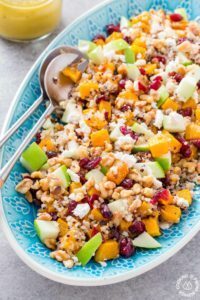 You know I love my salads and this one will surely be added to the mix!! That's my kind of salad…looks delicious!!! This salad looks great! I have been loving orange oil on salad and think I would love your orange vinaigrette! This is my kind of salad, Deb! Your salad looks delicious, sometimes I eat salads for lunch and dinner all week long. 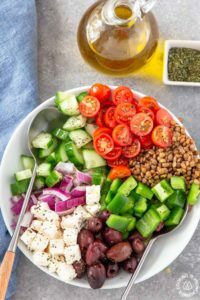 This salad is loaded with spring flavor! I love the vinaigrette too, thanks! I found you at the Sugar and Spice Link Up. This looks so good! I'm always looking for new salad recipes. Thanks for sharing at the #HomeMattersParty! Gorgeous salad! I can imagine the flavors! Nice!